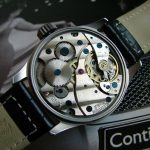 What is automatic watch all about? How can it be different from the watch you are using? Automatic watch is defined as a watch that does not use battery, but instead rely on mechanical movement by our wrist inside it to store potential energy for it to function. The term automatic comes from the fact that the watch will self recharge through movement of your wrist while wearing it. In other words, a watch that does not need to change battery in its lifetime. But do you know there are other types of watches out there? Here I’ll try to explain the types of watch based on 1) its movement and 2) its function or design. Let get on with it. Watch movement or caliber is the engine of the watch. Its purpose is to move all the different parts of the watch to function together. These parts can be its main timekeeping parts, or its other complications (or functions) such as chronograph (stopwatch), calendar, dual time zone, moon phase and others. Watch movement can be divided into two main groups; Mechanical and Quartz. A good animation on how a basic mechanical watch works. Take note that automatic and other complications will make it much much more complex that this is…. Originally, watch makers combined hundreds of small mechanical parts to make a fully functioning watch. This happened a few centuries ago, when electricity has not been discovered yet. Due to that, watch makers have to design mainsprings to store potential energy that is supplied by winding the crown (manual watch) or wrist movement (automatic watch). These energy will be used by the mainspring to rotate a succession of gear wheels that will move the watch’s hands. The energy transfer through the wheels has to be regulated by an escapement and balance wheel formation so that the energy in the mainspring will not be used very fast. The original watch is very big, but as demand for timekeeping pieces that can be carried around increase, watch makers were being more and more innovative in order to compress the huge watch to be able to carry around. 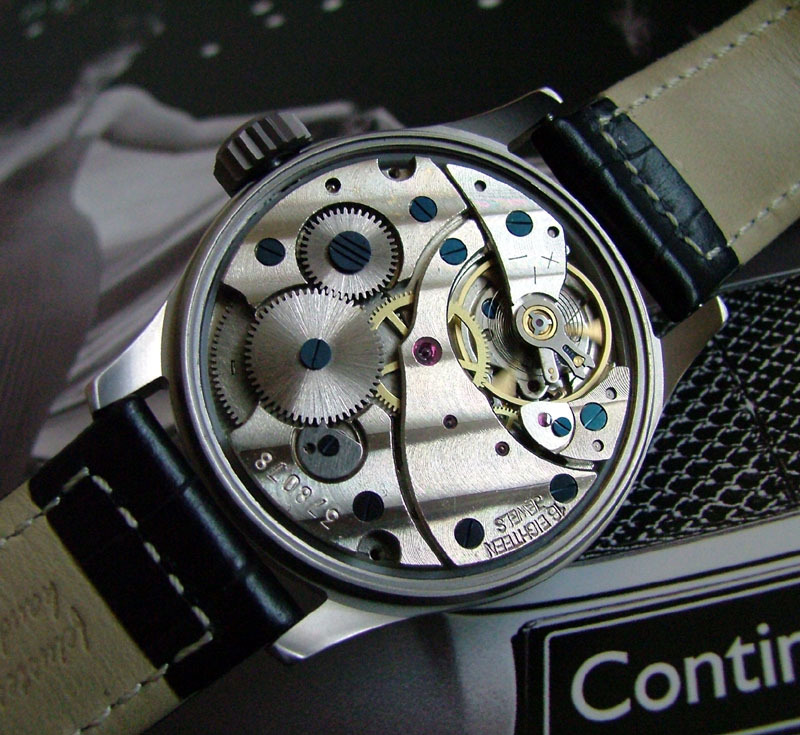 The hundreds of different minuscule parts of mechanical watch are what made it so sought after by watch connoisseurs. There is something about the elegance of mechanical watch that just can’t be compared to the cheaper and more robust quartz watch. There are two main category of mechanical movement, Manual and Automatic watch. Manual watch is the most original form of watch dated from centuries back. This watch needs to be manually wound by hand by turning the crown. This will wind the mainspring and store energy in it. Automatic watch on the other hand, uses a metal weight called rotor. This rotor will be spun by the movement of the wrist, and thus automatically winding the mainspring as you wear and use it. It can also be called self-winding movement. The power reserve capacity for mechanical watch can lasts from 24 hours to a few days. Compared to mechanical watch, quartz watch has a much simpler movement and lack the technical difficulty and craftsmanship. Quartz is actually a tiny grain of sand. It is piezoelectric material, meaning it will deform when supplied electricity, and vice versa. This phenomenon is what enables it to power the watch. When electricity from a battery runs through quartz, it will deform and vibrate. This vibration will then power a chip in the watch and will send a signal to a motor to run the hands. Due to this, the seconds hand will run at a tick-tock rhythm at one second interval. Quartz’s watch beauty is in its accuracy and it’s usage of electricity. It can be up to 5 seconds accurate for a month, a very huge difference compared to mechanical watch. Not only that, it’s very cheap to mass produced and enabled many people to own a watch. It is also very light compared to mechanical watch due to the absence of various gear wheels and escapement device. The only disadvantage of it is the battery need to be replaced once in a few years. Latest innovation in the watch world uses solar and also kinetic movement of hand to recharge the battery, thus striking out the only disadvantage of quartz watch. In addition to the watch movement types above, watch can also be divided into its functions and designs. The watch is created and marketed according to the specific need and market it is intended to. Sports Watch – Watches designed for sports use. Usually made of lightweight material such as rubber. It also uses quartz movement in order to make it light. G-Shock line of watches by Casio is a very popular brand of this type of watch. Diving Watch – Water resistant and certified for diving usage by ISO standard. A high quality watch that will function even deep underwater is a must so that divers can keep track of their time underwater. Big and heavy are the main characteristics of this watch. Aviator Watch – For pilot use. The watch has many functions a pilot need such as barometer and altitude meter. Chronograph Watch – Multi function watch with stopwatch function. Luxury Watch – Watch crafted with the highest quality material (such as gold and platinum) and precious gems embedded in it. 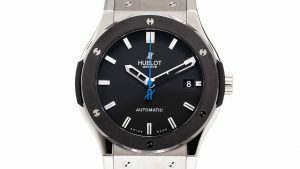 Very high quality and expensive watch for collectors and connoisseurs. These watches are commonly hand manufactured by the Swiss. The watch can also have rare complications that will drive up it’s price such as chronometer (the highest accuracy standard a mechanical watch will have), moon phase, minute repeater, perpetual calendar, tourbillon and others. Fashion Watch – Beautiful watch for everyday use. Hope this will help you to understand more on the types of watches available out there. Feel free to drop your comments below. Thanks for reading! 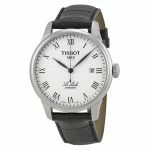 Interesting article on automatic watches for men, I never realized there was so many automatic watches for men until reading your article. The watches on your website are beautiful, I do not wear a watch they do not last long for me. What is the durability of the watches you reviewed, I am hard on watches.